Successful software companies make staggering sums of money by sending their customers personalized, targeted emails at exactly the right time. Why don't you? Like many of you, I write and sell software. I want better software to win over better-marketed software. I want users to do things which are clearly in their own best interests, without needing to be sold to. I want to spend time worrying about the product rather than about the marketing. The world does not care what I want, and it doesn't care what you want either. Sometimes this is a little soul-crushing. The engineer in me wants to believe that business success is primarily based on product quality. Since you can't increase product quality by 10% just by emailing people better, it should be impossible to increase sales by 10% using just email. Right? Right? You can increase sales by 10% with email... if it is the right email. This gives my inner engineer existential crises all the time, let me tell you. The savviest software firms rely less on mailing blasts and more on sending the right email to the right person at the right time, asking for one little nudge to their behavior. Decrease churn by identifying and getting in touch with dissatisfied customers before they cancel. Increase conversion rates by guiding your customers through the free trial more effectively. Increase trials of your software by converting more website visitors into trialers, through getting permission to contact them and then educating them until they're ready to try (and buy). Increase revenue by driving up the average lifetime value of your existing customer base... in ways they will thank you for. Increase customer happiness by educating them on how to use your software to make their lives better, answering common questions before they're even asked, and knocking their socks off with your perceived responsiveness to their needs... while saving you time talking one-on-one. You would think that, since software companies are in the data business, our marketing would be pretty data-oriented, right? If so, you've never worked at a software company. The sign in screen for a typical software company uses more custom code than the entire Marketing Department. Marketing generally is one-size-fits-none, with everyone visiting the website or reading the newsletter or interacting with the demo getting the exact same experience. This is unfortunate, because we know our customers are unique, including in ways we can actually measure. For example, we know that first-time users of our software have very different needs than customers who have been happily using it for years. Unfortunately, the website and our marketing channels treat them exactly the same. Lifecycle emails use information we have about customers to make informed guesses about what they're experiencing right now. Then we send them messages tailored to where they are. Having problems with the free trial? -> Send your customer a guide to getting over the hump. Didn't install the tracking code? -> Send your customer instructions. Didn't log in yet? -> Remind your customer why they should get started today. The typical software company has less than a 2% conversion rate on their free trials, which means that altering the behavior of any two trialers out of a thousand would increase sales by 10%. Not only do lifecycle emails routinely achieve that, customers will frequently be ecstatic to receive our emails, because it will appear that the system has accurately predicted their needs and provided them with something exactly responsive to those needs. Let's pretend you sell blog hosting, and you charge fifty times what your competitors do. You might envision that being a hard sale to make. WPEngine manages to make that sale very frequently indeed -- they have revenue in the millions -- partly because they have a product which is legitimately awesome (I use it for my own blog) and partly because they're savvy about selling it. They were, for example, savvy enough to hire me to work on one sales channel -- a drip marketing campaign. Drip marketing means sending a timed sequence of emails to educate, persuade, and only then sell. WPEngine has a particular landing page which offers a speed test for your website. To take advantage of it, you need to provide an email address and your site's URL. It works exactly as advertised: it will load your site using a reliable third-party testing service, tell you how long it took, and give you recommendations for making it faster. The landing page also includes an offer for a one-month course on optimizing one's site's speed, scalability, and security. Because this is directly aligned with the customer need that brings people to this page in the first place, prospects ask WPEngine for this course quite frequently. A few days after that, WPEngine again comes back, this time with advice on security, avoiding recent WordPress vulnerabilities, locking down problematic plugins, and the like. Over the course of the month, the prospect's relationship with WPEngine changes. WPEngine is no longer just a page they landed on -- they are a trusted source of very valuable expert advice about everything WordPress. The prospect might have had time to implement some of that advice, and they've seen their life get better. Only after having educated their customer and established trust does WPEngine start selling... and sell they do! After all, their customers are mostly businesses, and businesses only have limited tolerance for playing around with httpd.conf settings... but they're frequently willing to write a check to have someone take care of that for them. And WPEngine has just spent weeks in their inbox convincing them that they are exactly that someone. The drip marketing campaign provably brings WPEngine huge amounts of revenue. Patrick's advice on starting a drip campaign for WPEngine was an epic win for us -- it permanently moved the needle on signups after just a week of work. And it's easy to measure and therefore to improve. "We want to start sending lifecycle emails, but we don't know how to get started." "We don't have an email list and don't know how to start building one." "We don't know how to write emails that actually work." "We're the Marketing team, but we'd need Engineering to figure who gets what email when, and they're too busy building product." "We're the Engineering team, but we'd need Marketing to write these emails, and they're too busy doing... what do marketers actually do, anyhow?!" "We don't know how to measure the ROI on our email campaigns." Can you hire a consultant to do this? Yes*. Why the asterix? Well, first you have to find a consultant who actually knows what they are doing. Then you have to convince them to work with you. The people you most want to hire are a) in absolutely crushing demand right now, b) book up months in advance, and c) can charge whatever they want. What would you expect the combination of crushing demand and constrained supply to do to prices? Yeah, exactly. I once quoted a consulting client $20,000 for a project and they asked me -- dead serious -- whether that was my daily rate or my weekly rate. That is how crazy the market is right now. Contents: Three lines of copy which virtually writes itself. "Thank you for being a loyal customer of ours. As a reward for your loyalty, we'd like to extend you a special offer: instead of paying $200 a month for the next 12 months (a total of $2,400) for the service, we'll let you buy a year of service in advance for $2,200 (a $200 savings -- essentially, your next month is free). [Click here] to switch today." Getting their money now helps with the cash flow situation, particularly for businesses with high cost of customer acquisition. Switching customers to annual billing radically decreases churn, one of the key risks to SaaS businesses long-term. Customers love being singled out for special treatment. Follow the math: You might naively assume that 1% to 2% of customers would switch to annual billing. You'd get 1% with ordinary execution ("Let's put annual billing as an offer on our pricing page"). What if you did savvy execution ("Let's pitch annual billing as an exclusive benefit to only our most loyal customers, who we already know are the ones getting the most value from the software, such that a 11x increase in upfront costs doesn't matter to them.") 10% conversion. Bam. $200 in revenue per email sent. From one campaign. Which took thirty minutes to implement. Drip marketing and loyalty rewards are two ideas of what you can do with lifecycle emails. If you want more actionable ideas to make your business money over the next two weeks, you can take a course that I've created. You'll have positive ROI for it after, let's see, less than five emails sent if your emails are as successful as that math suggests. Why Sell This Advice At All? Isn't That, Like, Internet Marketing Sleazebaggery? I work with perhaps five to ten clients in the average year. I get asked to work with hundreds. I got tired of saying "no" to people. My natural inclination, as an engineer, was to create software to systematize and automate anything I ended up doing for most of my customers, like lifecycle email campaigns. However, I did something which doesn't come naturally to us engineers and actually, you know, talked to people. My customers told me they didn't really need software to send email. There exist plenty of good options for that already (I review six of them in the course). My customers clammored for a way to grow internal experts on email so that they wouldn't be dependent on expensive consultants to make progress on it anymore. Hence, this course. It is to turn smart engineers and marketers at savvy software companies into experts at a new set of strategies and tactics which provably make money. It is priced accordingly, at somewhere between "one night at a business hotel to attend a conference" and "a one-day training session on this topic." This means that this course is not for everyone. Do you not have a shipped product yet? Ship something. Do not buy this course. Well-implemented lifecycle emails do not ship software. Are you an early-stage bootstrapper? I have the utmost respect for you -- I've bootstrapped two software businesses myself. Do not buy this course. Lifecycle emails are not Priority #1 for you right now. Go read my blog (it's free and has ~1,000 posts worth of advice specific to your situation) and you can come back to this when you have four to five figures of monthly recurring revenue. Do you need handholding? You can find handholding in the documentation for e.g. MailChimp or other email service providers. Do not buy this course. It is designed for marketers and engineers who don't need to hear how to operate a GUI email interface or write SQL queries, they need to hear about the key strategic and tactical decisions their particular business needs to 10x the results it is getting from email. Does the price strike you as high? Go back to building your business. Do not buy this course. If your expected ROI on lifecycle emails doesn't laugh in the general direction of my pricing, I suggest doing something higher priority for your business. Are you either a) involved on the product side of it or b) on the marketing side? Do you want a comprehensible roadmap to implementing a strategy with high, provable ROI on your time? Do you want to learn how to send customers email which they want to get which will make a meaningful difference for your business? If you answered "yes" to the above, you should take this course. Your business already creates value for your customers. 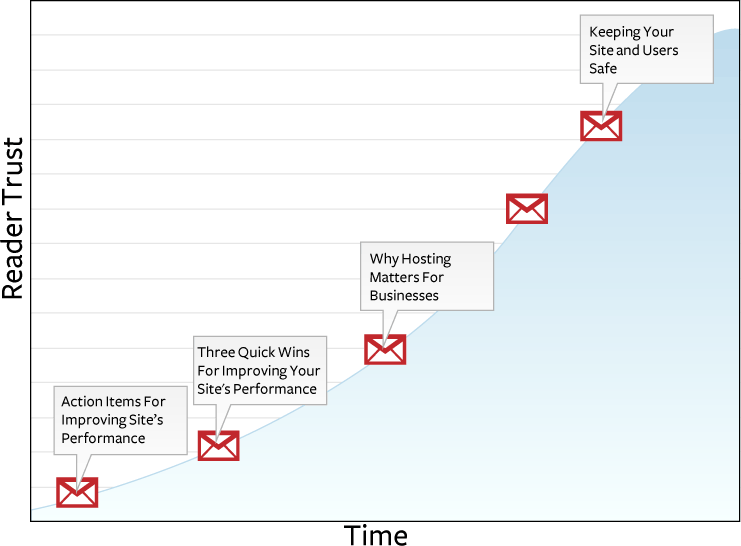 Sending lifecycle emails is a clear win for both you and your customers. This course will shave weeks off your implementation timeline. You'll also save probably five figures in not hiring a consultant or in avoiding your team spinning their wheels trying to re-invent the field from scratch. I know you know that email marketing has been poorly used by dirty slimeballs before, to hawk male-enhancing snake oil fortunes made at home in Gucci bags. You're not them. Your software genuinely makes customers lives better. I'm not them either -- I only give advice which is tested, ethical, and actually works at selling software. You and your customers will be better off if you use my advice to sell your software, so we should trade. So what does your course contain? 5 hours of video lessons (Chapter List) to start (and supercharge) your lifecycle email campaigns. Watch them in your browser or download them. No DRM nonsense. Annotated Emails That Sell: discussion of what the words, formatting choices, and information selection is supposed to accomplish. Want To Share This With Your Team? Your purchase comes with an ironclad 60 day money-back guarantee: if you're not totally happy with it, we'll refund your purchase. Your credit card is safe. We use SSL and Stripe. We never see your details. I only want you to take this if you're going to commit to actually implementing the advice. If you promise you that, I'll promise you this: successful implementation of this advice should meaningfully improve your business. If it doesn't within 60 days of taking the course, I will refund your purchase. I care about my reputation a heck of a lot more than I care about making an extra dollar at the margin. Plus, umm, seriously: my advice works. You know this -- I've been blogging about it for years. The companies I work with, like WPEngine, rave about doing business with me. 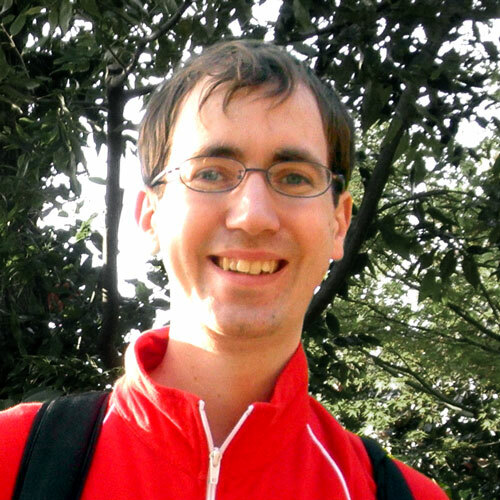 About the author: Patrick McKenzie founded two software businesses. He consults on making and marketing software for clients, including Fog Creek, Matasano, and WPEngine. His advice has demonstrably sold millions of dollars of software. P.S. Did you know that people put a P.S. into sales letters because it is one of the three places of the letter most likely to be read? Yeah, that was news to me, too. Joanna from CopyHackers taught me that. She has also made my consulting clients $SIGNIFICANT_AMOUNTS_OF_MONEY by teaching me how to write e.g. headlines and subheads better. When I told Joanna that I was doing a project on email, she offered to create a special two-page cheatsheet to writing subject lines that get emails opened. It clocked in at 40 pieces of actionable advice, and it's solid gold. A $37 value now yours for only Bah, I hate that B.S. formula. Here's just-the-truth: her advice is gold, you get it free with this course, you cannot get it elsewhere. All content copyright 2019 by Kalzumeus Software.